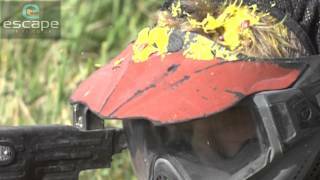 Paintballing may be a traditional stag weekend activity, but why should the boys have all the fun? More and more hens are having a go and it seems they can't get enough of running around the woods and splatting people with paint. There will be plenty of exciting game scenarios for you to test you combat skills including Last Man Standing, Bomb the Base, Bunker Attack...and many more. You will be issued with overalls, headgear, semi-automatic guns and 100 paintballs. Then after a short safety briefing it's goggles on and time for battle!